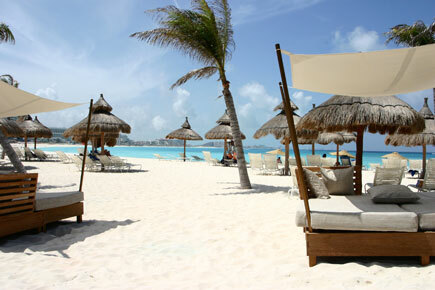 Cancun is known for its exquisite beaches that every year attracts millions of tourists from around the world. This natural attraction is also an invitation for the investment of thousands of corporations that come to serve the tourism sector. The growth in the number of companies and opportunities is matched with an investment in infrastructure within the region. Cancun is the home of the most modern airport in Latin America. Up to 80,000 passengers fly in and out of the Cancun airport. The diversity of the inflow of tourist creates a demand for diversified talent from all over the world. There are 11 universities in Cancun with technology programs and state of the art telecommunication infrastructure. Over the last few years Cancun has become one of the leading software development centers in Mexico. We understand how vital it is to monitor your project closely, and for this reason CancunIT makes accommodations for its clients’ visits to Cancun. We encourage our clients to come as frequent as necessary to oversee the progress of their projects or to coordinate and provide in person training for their outsourced development team in Cancun. The opportunity to travel to Cancun has always proved to be a win-win situation for everyone involved.